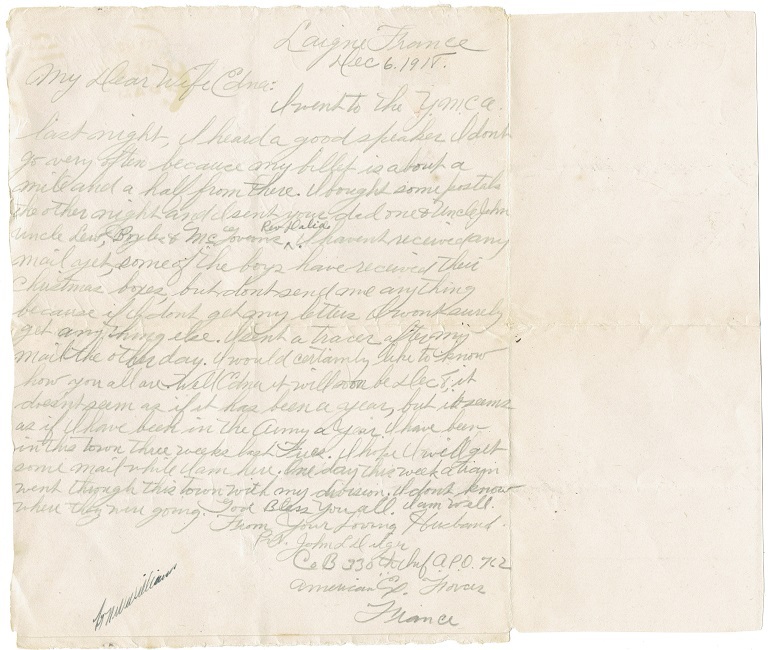 These two original World War One letters were written by a soldier named John L. Dilger who was a member of Company B of the 330th Infantry Regiment, part of the 83rd Division with the American Expeditionary Forces (AEF). John L. Dilger was born on July 4, 1887 and passed away on June 26, 1972. 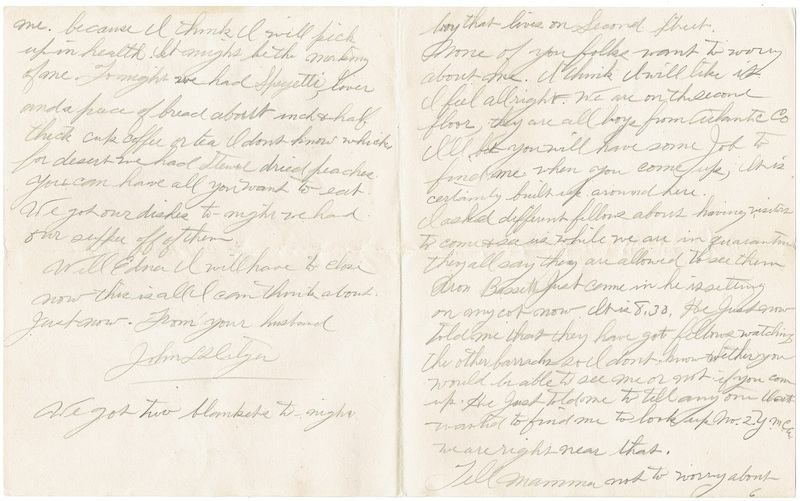 At some point before WW1 he married Edna Eager to which both of these letters are written. 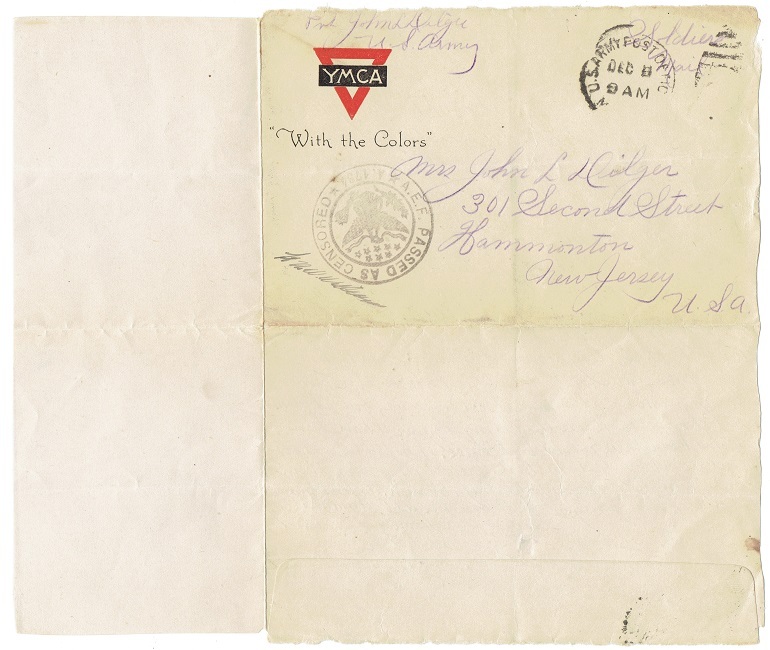 The first letter is written on an envelope and is dated December 6, 1918. It was send from Laigné, France, to the soldiers wife Edna in Hammonton, New Jersey. 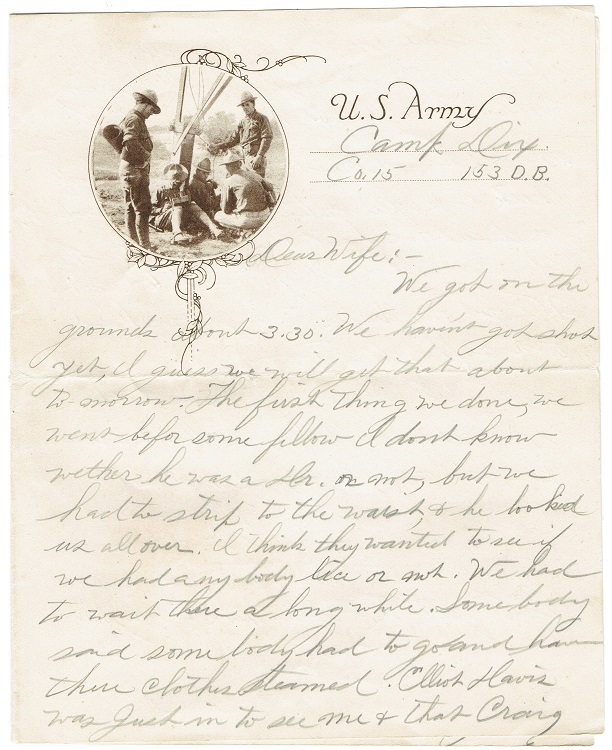 The second letter is written on US Army stationary from Camp Dix, New Jersey while he was with Company 15 of the 153rd Depot Brigade. The letter has no date but was presumably written after going back to the US. 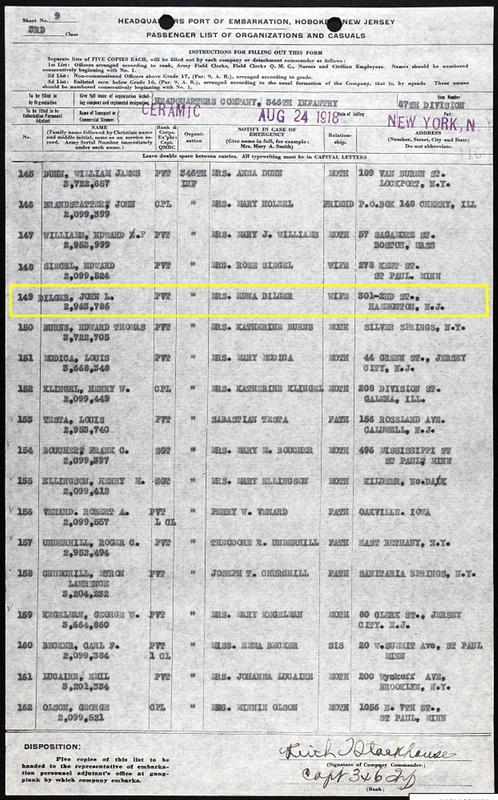 Passenger lists show Pvt. John Dilger as a member of the 87th Infantry Division, going over to France in August of 1918. There he was most likely transferred to the 83rd Infantry Division for further training as this was the 83rd's specific assignment while in France. Another passenger list shows Pvt. Dilger as a member of the 158th Infantry Brigade returning to the US through the port of Bordeaux, France. Their destination was Camp Dix, New Jersey where they arrived eleven days after departure, on April 17, 1919.